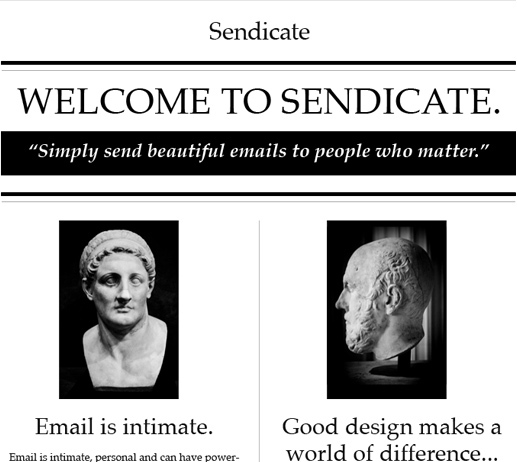 The email marketing app for smart businesses. 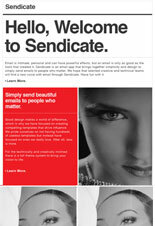 Email is intimate, personal and can have powerful effects, but an email is only as good as the tools that created it. 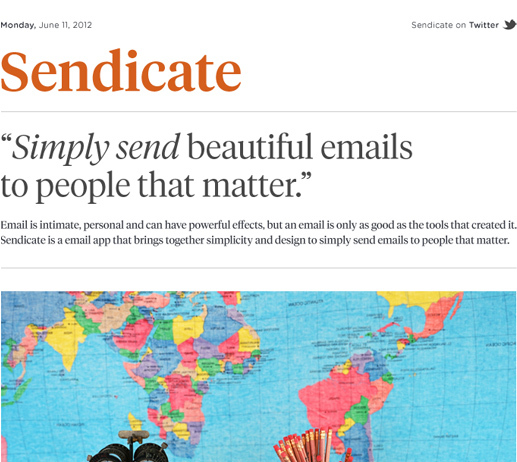 Sendicate is an email app that brings together simplicity and design to simply send emails to people who matter. Have fun with it. 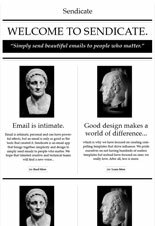 The process of creating a professional email design, tracking its results and managing your database of subscribers has never been easier. 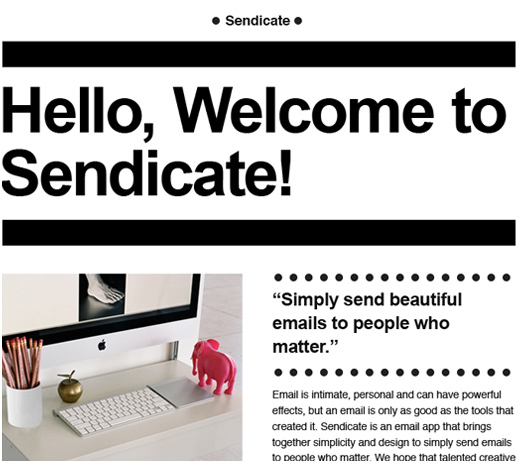 We put together a quick video that shows you how simple it is to get up and running with Sendicate. Take a look. Gain deep insight into trends and behavior through our statistic and reporting features. 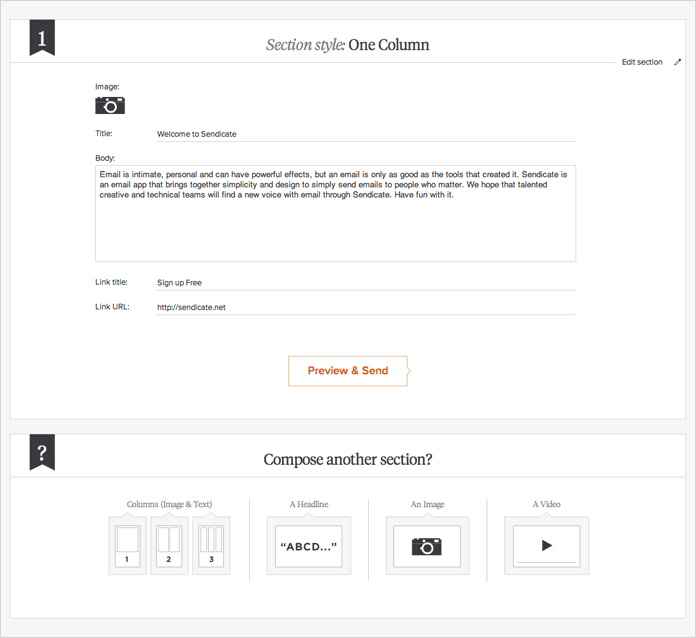 Old favorites include unique and total opens, unique and total clicks, bounces, unsubscribes, and complaints. We also encourage you to explore link reports and understand who was clicking links and why. 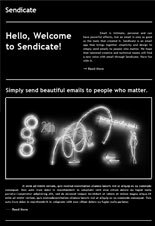 Send When You Want To. 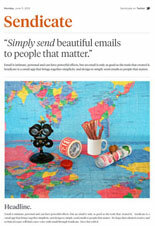 Send at precisely the right time, or use our recurring feature to send every day, weekday, week, or month. 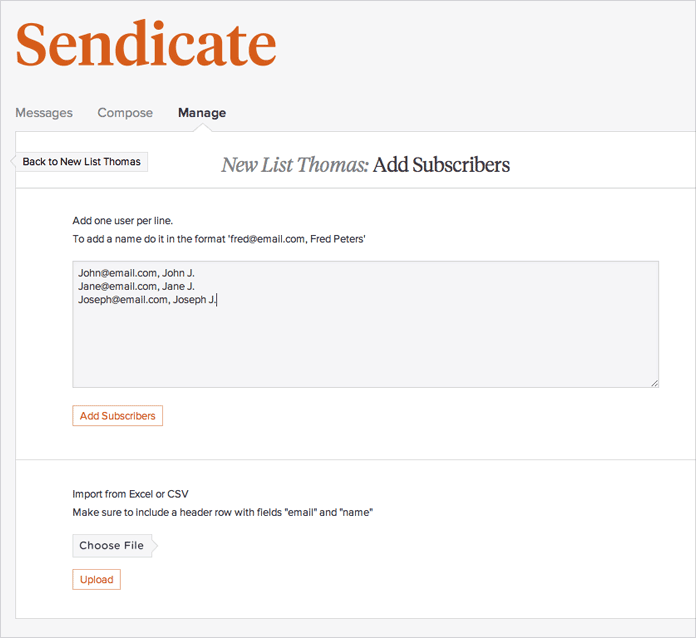 Our API allows for seamsless integration of any service into Sendicate. 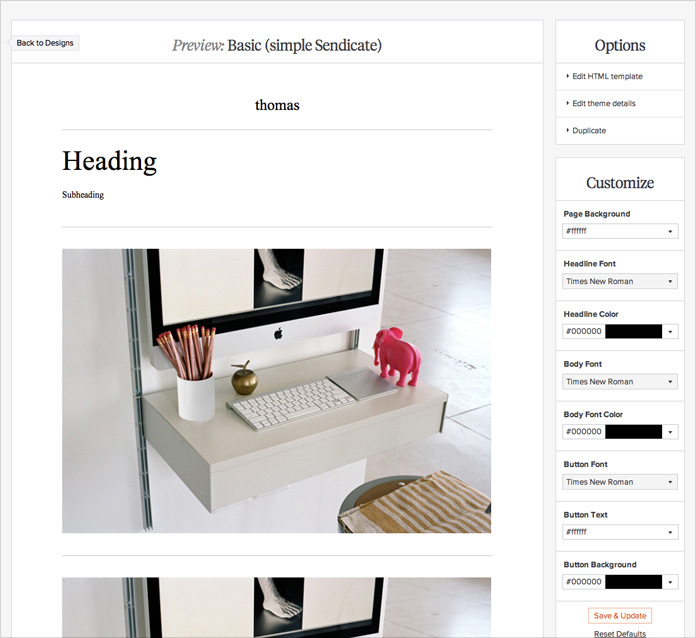 Building from the API allows you to connect apps like Shopify, Magento, Stripe, or Freshbooks. For full details see our API documentation. 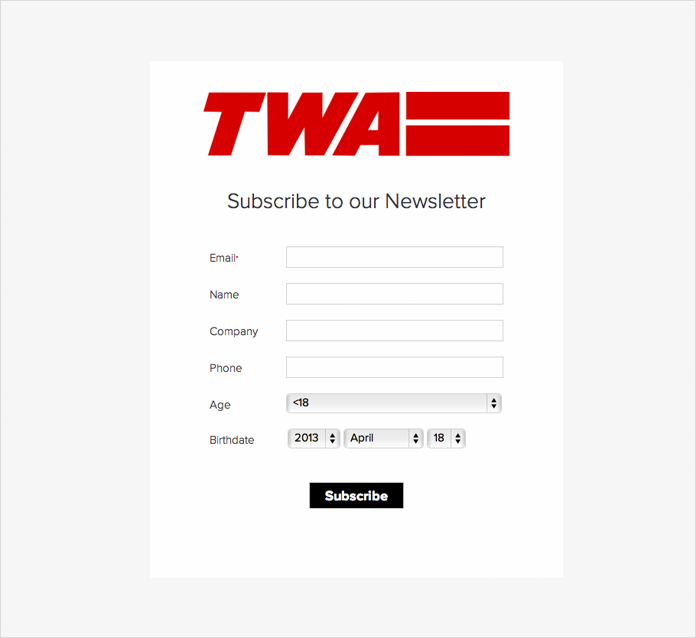 Make sure your subscribers can signup wherever you are. 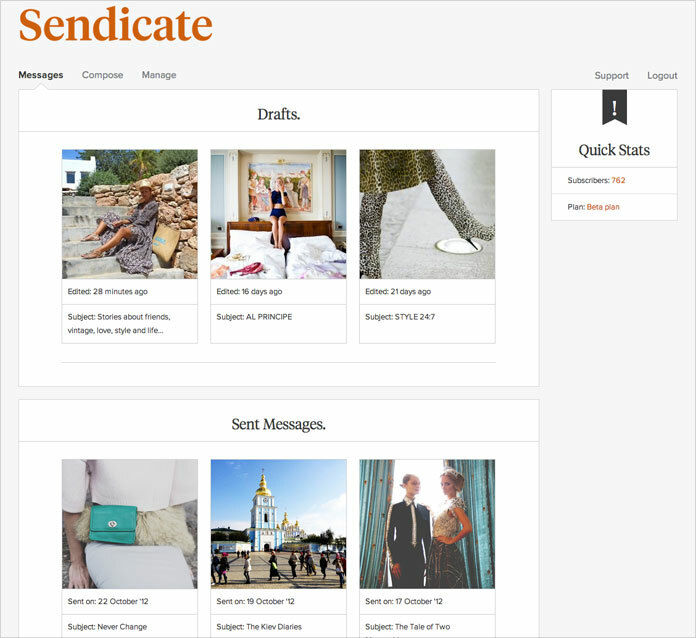 Either from your shop, event, or trade show, Sendicate works flawlessly with iPhone and iPad app Guest'd to ensure you never miss a subscriber. 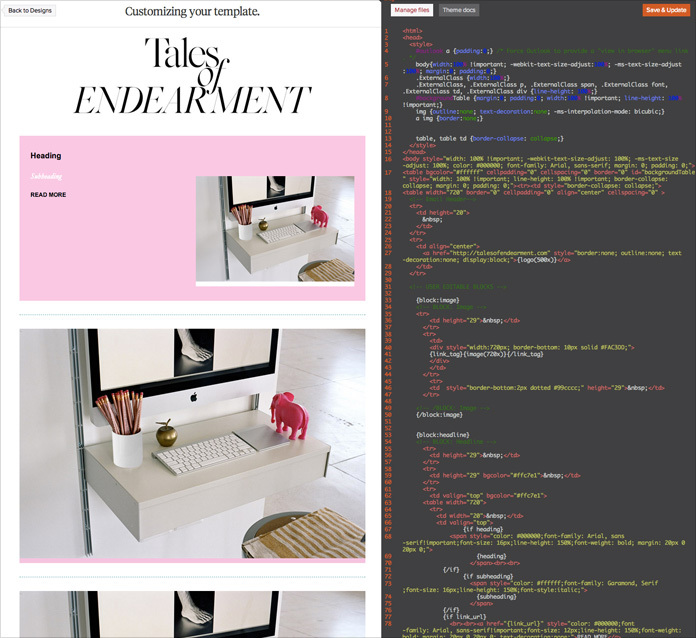 Good design makes a world of difference, which is why we have focused on creating compelling templates that drive influence. 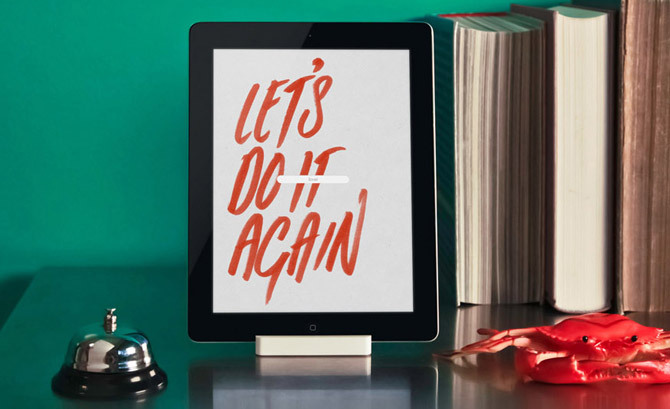 With a few gorgeous templates to choose from, you can spend more time crafting the message and less time dealing with hundreds of layouts. After all, less is more. 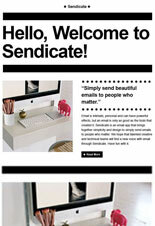 For the technically and creatively inclined there is a full theme system to bring your vision to life. 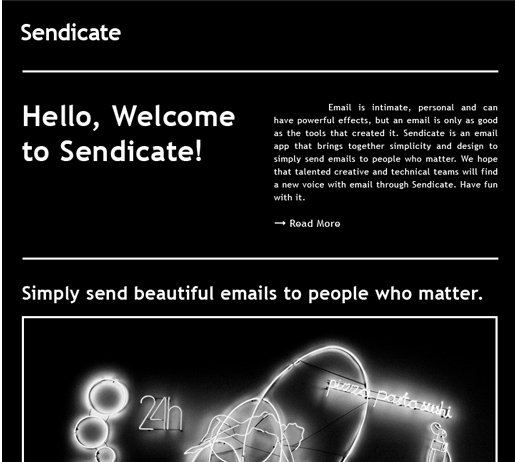 Our pricing is based on the number of people receiving your emails. 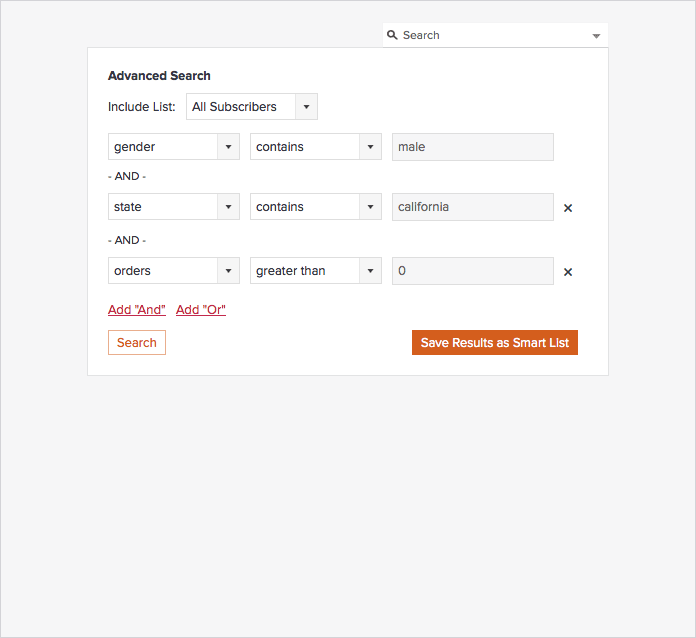 Pricing is free for small lists. No credit card required. For 500,000+ subscribers, our fully managed service offers dedicated account management, creative customization, and results optimization. 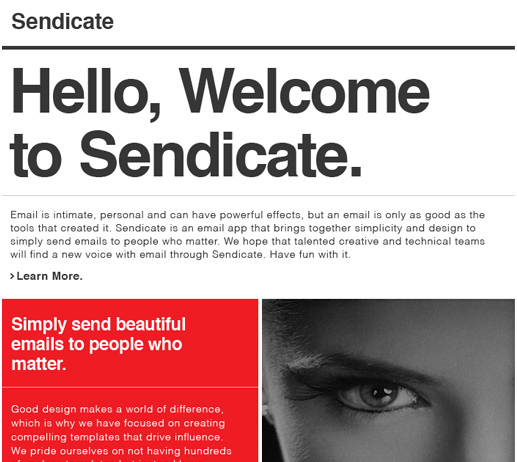 Sendicate is proud to have won the W3 Award for best web application, and been an Official Honoree in The Webby Awards in the Web Services & Applications category.